Dimensions 0.25 by 6 by 9.50 in. An edition of Shakespeare's tragedy, including discussion of its plot, characters, themes, language, production, and author. 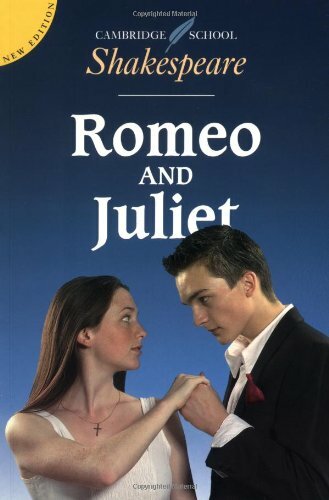 Amazon.com description: Product Description: A new look at Romeo and Juliet in accordance with the work of the Shakespeare and Schools Project, the national curriculum for English and developments at GCSE and A Level. Cambridge School Shakespeare considers the play as theatre and the text as script, enabling pupils to inhabit the imaginative world of the play in an accessible, meaningful and creative way. This new edition features new and updated activities, extra help with language and a host of new photographs, many taken from Baz Luhrmann's recent film.